Today’s transmissions are computer controlled, which means that there are all kinds of things that can affect how your transmission works. AWD, 4WD, 4×4, FWD, RWD… the drivetrains on today’s cars is a veritable alphabet soup of abbreviations. Probably the most confusing is the difference between a four wheel drive and all wheel drive. What are All Wheel Drive Transmissions? We could get into all the technical nuances between the two, but for most people the difference is pretty simple: Four wheel drive (4WD or 4×4) allows you to select whether to send power to all four wheels or just two. All wheel drive is just that: All wheel drive, all the time. Of course, there are a lot of differences under the car. For example, all wheel drive is generally based on a front wheel drive transaxle. That means all wheel drive vehicles don’t need a separate front differential; the differential for the front wheels is built into the transaxle. But you only care about two things: Is my car working right, and where can I take it if it isn’t? Fortunately you can get the answer to both questions at one place: your local Cottman center. Their technicians can help you determine whether your all wheel drive transmission is working the way it’s supposed to, and they can fix it if it isn’t. 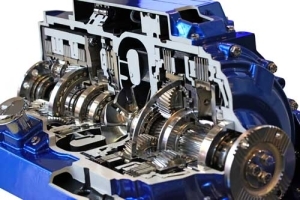 That’s important, because there’s a lot more involved in operating your all wheel drive transmission than just what’s inside the transmission. Today’s transmissions are computer controlled, which means that there are all kinds of things that can affect how your transmission works. Many of them might seem to have nothing to do with the transmission itself. Which means a very small problem might appear much bigger than it really is. A simple loose connection or a faulty sensor can cause your all wheel drive transmission to stop working properly. And a less experienced technician might not realize that the repair is something simple.